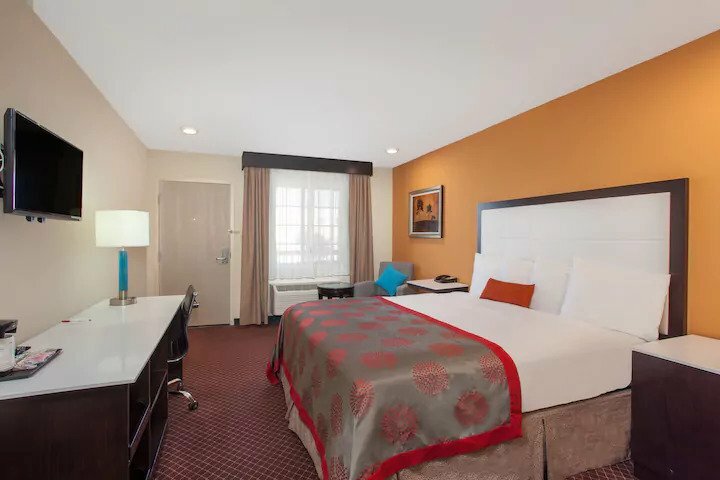 Rooms - Hotel Ramada one of the best Hotel in California. 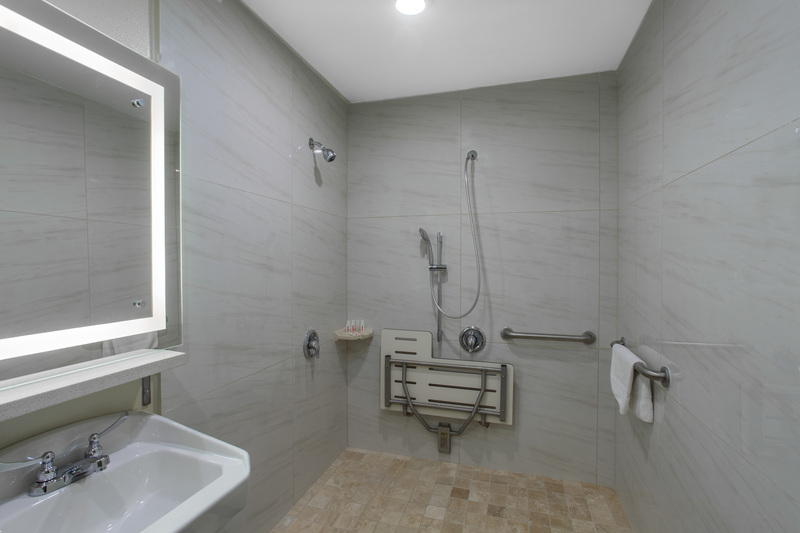 Our accessible room is wheelchair accessible, featuring bathroom rails and shower bars. This non-smoking guest room offers 1 double bed with room for up to 3 guests and includes coffee/tea maker. Stream your favorite programs with free high-speed WiFi, watch a variety of shows on a flat-screen cable TV. Air conditioning, iron/ironing board, and hairdryer ensure comfort throughout your stay. Relax in a private hot tub in our non-smoking guest room, offering 1 king bed with room for up to 2 guests and includes coffee/tea maker. Stream your favorite programs with free high-speed WiFi, watch a variety of shows on a flat-screen cable TV. 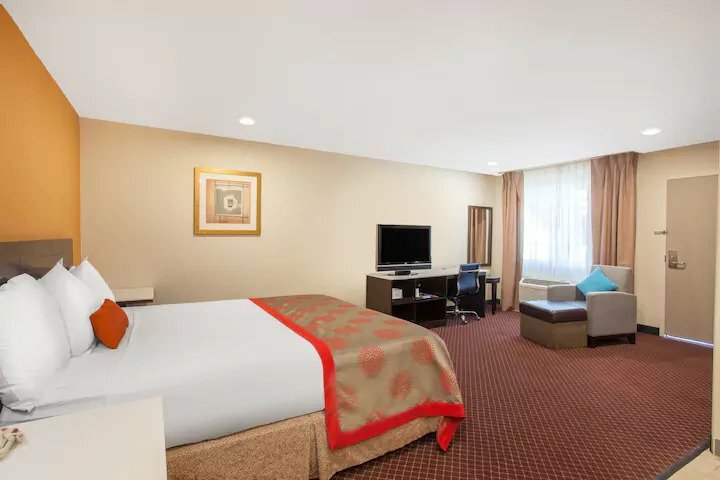 Air conditioning, iron/ironing board, and hairdryer ensure comfort throughout your stay. This non-smoking guest room offers 2 double beds with room for up to 4 guests and includes a coffee/tea maker. Stream your favorite programs with free high-speed WiFi or watch a variety of shows on a flat-screen cable TV. Air conditioning, iron/ironing board, and hairdryer ensure comfort throughout your stay. 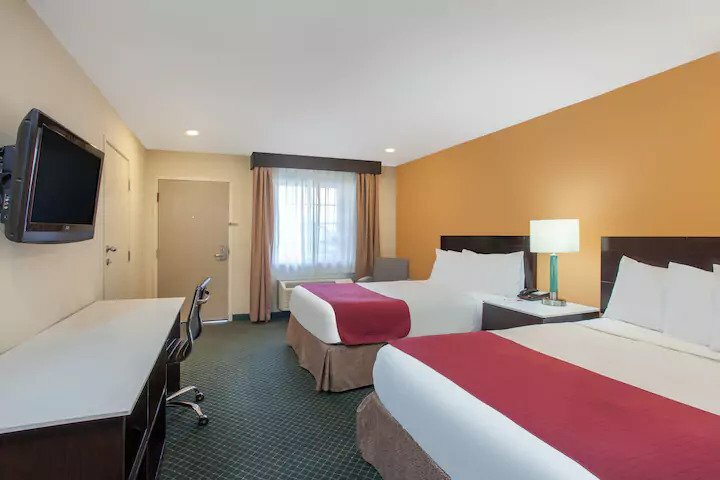 This non-smoking guest room offers 1 King bed with room for up to 3 guests and includes a coffee/tea maker. Stream your favorite programs with free high-speed WiFi or watch a variety of shows on a flat-screen cable TV. Air conditioning, iron/ironing board, and hairdryer ensure comfort throughout your stay.